It’s been said that ‘Brexit’ is the biggest crisis the British ruling class has faced since Suez. Ironically, that was also about the diminishing of Britain’s power in the world. Britain, the former colonial superpower in the Middle East – which had liberated North Africa from the Nazis in 1956 – was ignominiously outmanoeuvred by Colonel Nasser’s Arab Nationalists and the political actions of French, UN and US forces. The crisis led to resignation of Prime Minister Anthony Eden. The Brexit crisis today involves similar themes. The British ruling class faces a powerful European Union (EU) they are increasingly peripheral to. They are split over how to relate to it between ‘Little Englanders’ who hark back to the days of Empire, yearning for a world of cheap labour, no outside interference and on the other side – UK multinational capital with global ambitions of its own inside the EU. Westminster is dominated by the latter, whereas the referendum was won by voices in the former camp. The central difficulty for socialists is that Brexit is not a class conflict. It is not a Left-Right split. It’s a battle between different sections of the ruling class. The SSP chose to campaign for ‘Remain’ in 2016 as ‘the lesser of two evils’. In the negotiations, May and Barnier both represent the interests of capital. Although an agreement will end Britain’s membership of the EU, the Common Agricultural Policy, the Common Fisheries Policy, the European Court of Justice jurisdiction, the Customs Union and the EU Single Market, working people will continue to face huge levels of exploitation inside and out of the EU. We do not support Theresa May’s deal as it offers no solutions to the problems facing working class people. Equally, we have no illusions in the EU. It is and remains an anti-democratic bosses club firmly in the grip of neo-liberal capitalism. We are internationalists who believe Europe belongs to the peoples of Europe, its wealth should be shared out between all the peoples of Europe. We will not allow migrant labour to be scapegoated for the ills of society, we will defend them and we offer the hand of solidarity to all migrants to ensure they will not be used as cheap labour. Brexit will proceed in all likelihood on March 29th and if it does it represents a significant defeat for the expansionist EU project and for big business, perhaps the most significant it has ever faced, but it is nonetheless one they will live with. It will by contrast be a victory of sorts for May and her ‘Brexiteers’. The Scottish Socialist Party supports an independent socialist Scotland. 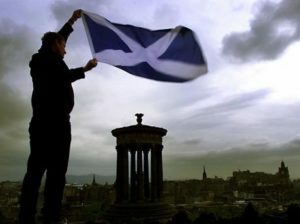 Since Scotland is a nation it is entitled to self-determination if it so desires. The working class majority are clearly the main driving influence behind independence and increasingly believe they will be better off economically and politically if able to direct way country is run. We have supported Independence since our inception 20 years ago. We co-founded both the Scottish Independence Convention and Yes Scotland with the Scottish Green Party and Scottish National Party (SNP). We are not nationalists however – supporting the democratic rights to self-determination does not make you a nationalist. James Connolly, John Maclean and Vladimir Lenin were not nationalists but each supported the rights of oppressed nations to self-determination. Nor are we lapdogs of the SNP. We have the duty, to speak out against tactics which we believe jeopardise the case for independence. And we will do so despite being censored, shouted down or accused of treachery by fools. A fortnight ago, Nicola Sturgeon threatened Theresa May with a second Independence Referendum if Scotland was taken out of the EU. She promised the vote would take place between April 2019 and Dec 31st 2020. And whilst both are the case she will not risk a second defeat. In putting so much effort into arguing for EU membership, and peddling dangerous illusions in that body, she has shown she is above all a mouthpiece for multinational capital and a voluble middle class in Scotland. Working class Scots are nowhere near as exercised by EU membership as their middle class counterparts. They are however much more interested in independence. By peddling illusions in the anti-democratic, centralising, neo-liberal EU the SNP threatened outcomes they could not possibly deliver eg. keeping Scotland inside the EU when Britain left. Moreover Sturgeon has been wrong in all her economic and social forecasts on Brexit since June 2016 and has wasted valuable time and momentum by ignoring the case for indpendence, not least economically, nor advocating it effectively. 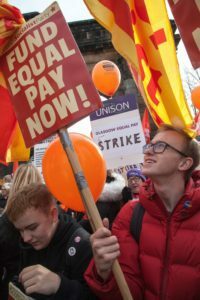 The work that has been done, the disastrous Growth Commission report, has doubled-down on failed capitalist solutions – ignoring the lived reality of millions of working class Scots we need to retain in order to win. In overplaying the disparity between the EU result North and South of the Border she portrays the impression it was enough to make the bigger case for Independence itself. It isn’t. Nor has it improved the polls for independence. Yet she has handed a stick to unionists highlighting a contradiction. We want independence from the UK yet apparently wish to hand large portions of sovereignty back to an anti-democratic, corporate controlled elite, in Brussels! Sturgeon has treated a second referendum on independence as a tactic to win crumbs off the Westminster table, not one of clear principle. The SNP once insisted that winning majority of Scottish MP’s was in itself a mandate for independence. Not any more. They used to argue similarly that winning a majority at Holyrood offered the same conclusion. But not anymore after securing a majority in 2011. The Section 30 Order needed from Westminster for a binding legal Referendum will not be granted. Persevering down that route offers no chance of success and in fact risks reducing the struggle for Independence to a debacle. So, what other strategies for securing Independence are there? Another General Election? The SNP won 56 out of 59 seats in 2015 – it’s hard to get a clearer Westminster electoral mandate than that. Furthermore the SNP will not employ an electoral strategy that says Independence is the ‘be all and end all’ – they are compromised as an electoralist party. Civil disobedience? Maybe, these tactics demand great skill, discipline and organisational adroitness. 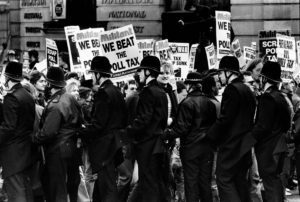 We have experience here, the Scottish Socialist Party grew out of efforts leading the most successful mass civil disobedience movement in Scottish history – the anti-poll tax campaign in 1990’s! But this route can only be effectively employed after we can point to evidence of majority support for independence! That remains crucial to everything and we still don’t have it. So how do we win that illusive majority for YES? We must be honest and admit we lost in 2014 because our case was not good enough – our economic case was poor and promises woolly. We lost the argument on currency, on pensions, on the economic foundations and financial control of our new state. And we have collectively still not addressed those failings. There is a myth created by the right wing of the Independence movement that it was the loss of middle class support that cost us in 2014. They used this argument to justify the neo-liberal conclusions reached by Andrew Wilson’s Sustainable Growth Commission. But they are wrong. The truth is we didn’t win a majority in 2014 among the working class! And unless we do, we will never win any vote. There is no use glossing over these issues with demands for unity. Unity is no substitute for clarity or a winning strategy. We are behind in the polls because our case is not yet persuasive enough. And a ‘one more push’ attitude only reflects the immaturity and impatience of those who underestimate our opponents at the top of the British state. We need to persuade a majority before pushing for a second vote, and until we are properly prepared and politically better positioned to win – we must wait! The struggle for socialism in Scotland today is challenging! It is hard because whilst attacks on working people are incessant and unyielding, the level of class consciousness, confidence and combativity are low. The closure of the Michelin plant in Dundee was announced in November with 850 jobs gone, Kaiam computers in Livingston shed 300 jobs 2 days before Christmas and withheld wages due and Health Environmental Services in Shotts sacked 450 after management incompetence was unearthed by Government Inspectors – and yet all of them elicited no resistance whatsoever! The living standards of people born in the 1940’s grew to twice those of their parents generation yet for millennials it will be half as high. The working class majority have been expecting others to do their fighting for them for some time now. This is what placing hopes in Nicola Sturgeon or an ever-elusive Jeremy Corbyn government partially represents. How much more of such ‘manias’ must we witness before the penny finally drops that working people must stand up for themselves, build their own power and fight their own battles, not expect material progress and advance from capitalist or petit bourgeois parties. Accordingly, socialists should be in a socialist party – not by holding delusions that anti-socialist parties can be turned. I hope you will join the Scottish Socialist Party in helping to build an independent socialist Scotland, a modern democratic republic and a party fit for working people to realise their political ambitions. This article was adapted from speech notes by Colin Fox. 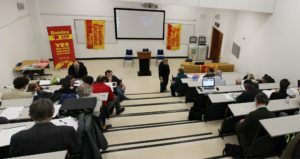 The post Colin Fox: Brexit, Independence & the case for Socialism appeared first on Scottish Socialist Party.